The ORNL DAAC has released an update to the popular MODIS Global Subsetting and Visualization Tool, including support for MODIS Collection 6 land products. 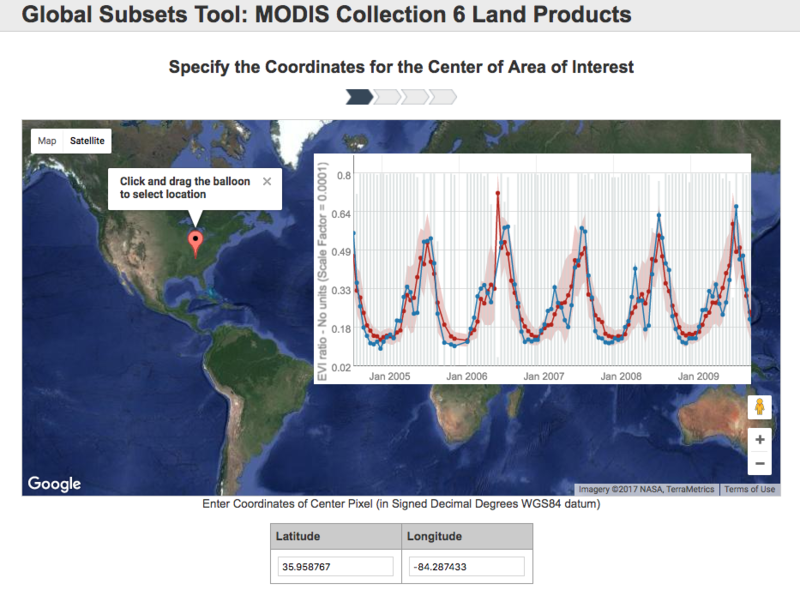 The new subsetting tool provides on-demand, customized subsets of 14 MODIS Collection 6 land products. MODIS Collection 5 data continue to be available through the tool at: MODIS Collection 5 .